Marc began his racing career in 1993 by attending a Skip Barber Driving School at Road Atlanta. For the several years he participated at Skip he participated in selected Skip Barber and Bondurant series events. Early on he developed a passion for open wheel race cars. In 1998 Marc purchased a 1970 Lola T200 Formula Ford and began competing in SVRA races. 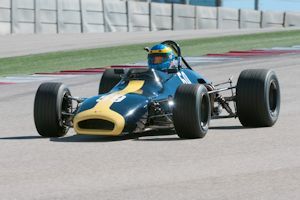 Two years later he moved up to a Group 2 1969 Brabham BT 29, which he still campaigns. In 2013 he finished 2nd in the SVRA Group 2 Points Championship. 2009 saw him add a 1997 Lola T97/20 Indy Lights car to his stable. In 2013 Giroux finished second in both SVRA’s Group 9 points championship as well as the Monoposto Historic Indy Lights Series. 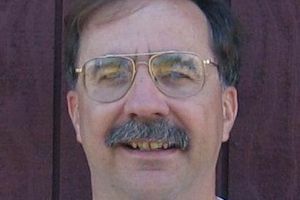 In 2014 Marc retired from his position as an executive at Corning Inc. Giroux and his wife Cindy now reside in Cushing Maine. Marc quickly points out that retirement has not reduced his passion for open wheel competition and that he intends to remain active in SVRA for the foreseeable future.